The CAMWS Executive Committee has the right to issue public statements concerning important matters related to the organization. Occasionally the Committee receives requests from CAMWS members or non-members to issue official public statements on a particular issue. To ensure that the Committee handles all such requests fairly and in a timely fashion, the following Policy on Public Statements has been adopted. These goals include the preservation of historical documents and artifacts, fostering communication and exchange among teachers and scholars, defending the fair and professional treatment of all members of the profession, and advocacy for the study of Classics and the humanities in general. Anyone may petition the Executive Committee to issue a formal public statement about an issue of concern. Such requests should be forwarded to the President or Secretary-Treasurer. Requests must provide a clear and compelling reason for the proposed course of action, and demonstrate how it falls within the mission of CAMWS and conforms to the stated policies of the Association. 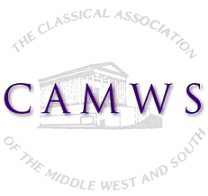 The President will refer the matter for discussion to the Executive Committee, who must approve any public statement to be issued on behalf of CAMWS. When, however, a speedy response is necessary, at his or her discretion the President may issue a statement upon recommendation in consultation with the Secretary-Treasurer only. As with other decisions of the Executive Committee, only the President or the Secretary-Treasurer is authorized to issue the statement in the appropriate venues.